If you’ve been around these parts (my blog and Instagram), you will know that I am no stranger to the Vichy world. Some of their skin care products have become holy grail items for me over the past year or two. Finding items that you love really helps you trust brands when they release newer products. 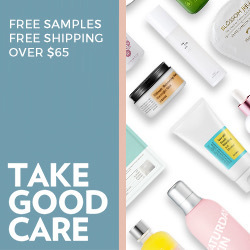 Not every product is made for all skin types and conditions, but you get a good overall idea of what type of products will work well for you. Over the past year, I have gone from calling my skin “oily” to “combination”, but still always sensitive. I noticed that my skin was dry in some spots, but could still produce an abundance of excess oil when it felt like it. I brought in the term “dehydrated” into my awareness and found that treated my skin as dehydrated would make sense for the dryness and oil levels. When I considered my skin to be oily, I usually avoided products that were ultra hydrating. I didn’t want my skin to have more moisture than it should. I eventually took in some knowledge about dehydrated skin producing more oil to make up for the lack of hydration. Slowly, I started switching up my products a bit, allowing more hydrating products into my routine. When it comes to hydration, Vichy definitely has that part perfected. 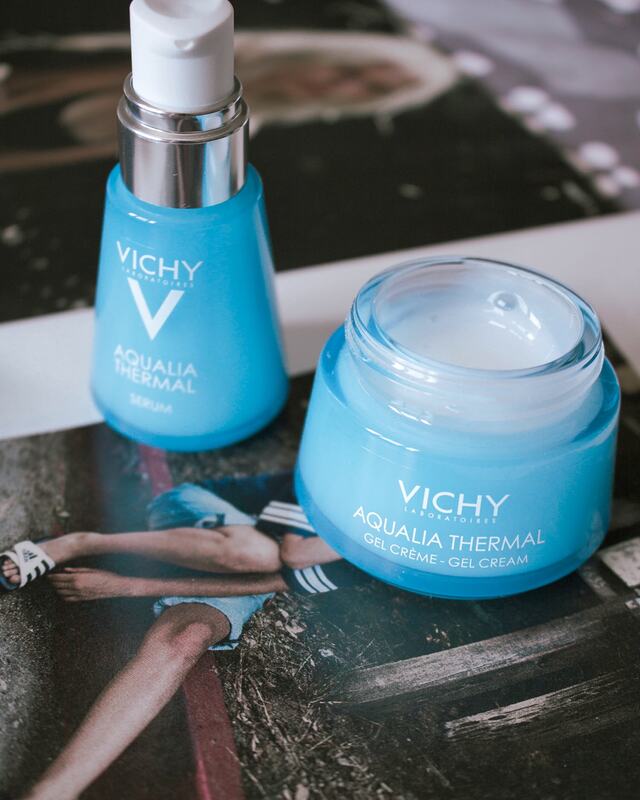 Their new Aqualia Thermal range of products is definitely high on my recommendations list for people that need products to help balance out the hydration levels of their skin. What’s so special about Aqualia Thermal? I love so many Vichy products already, but I am definitely loving this newly released collection of products. I was lucky enough to be sent the four Aqualia Thermal products for testing purposes, as well as two of the same products from Influenster. If you haven’t signed up for Influenster, sign up now! You don’t need a large following by any means. You just need to give good opinions on products from health to beauty to food and more. My duplicate products will be saved for a future giveaway of sorts, so don’t you worry about that. The “thermal” additions to the Aqualia collection come with a serum and moisturizer. The Aqualia Thermal Rehydrating Serum is meant for all skin types. Serums by Vichy are always some of my favourite serums around. They always add that extra boost of moisture that skins into your skin immediately. As for the moisturizer, there are three different types, all depending on your skin type. The Aqualia Thermal Light Cream is meant for normal to combination skin, the Aqualia Thermal Rich Cream is for anyone with very dry skin, and the Aqualia Thermal Rehydrating Water Gel is for oily to combination skin. 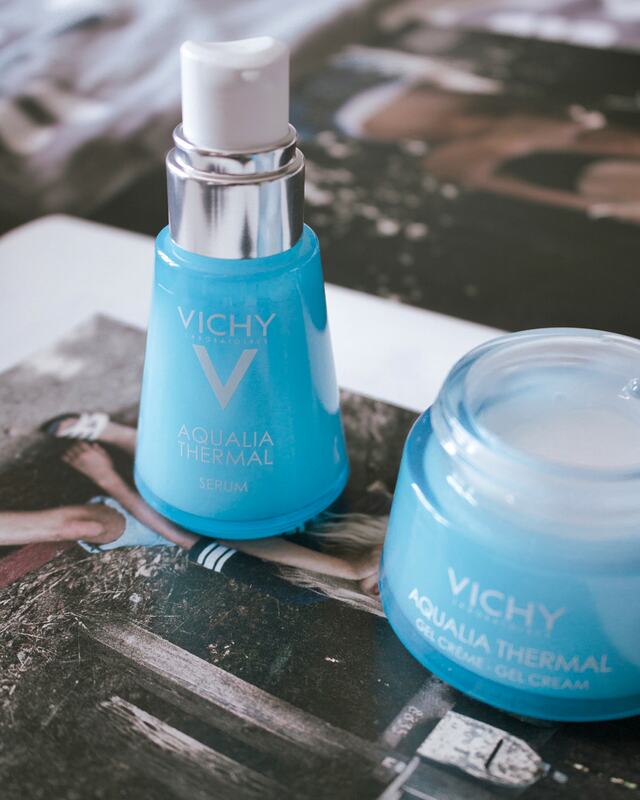 All of these products contain the Vichy Mineralizing Thermal Water, which helps keep your skin hydrated and refreshed for 48 hours. That’s two whole days! This blend of essential minerals makes sure that your skin is never without hydration. Each moisturizer is a slightly different consistency to best suit your skin type. I’m using the water gel for combination to oily skin. I find that my skin feels very rejuvenated after each use. The gel-like consistency is lighter than a cream, that’s a given. Still, I know that my skin is still getting that 48 hours of hydration as I apply it. I would highly recommend these products for people needing help to rehydrate their skin. Again, Vichy does it right!